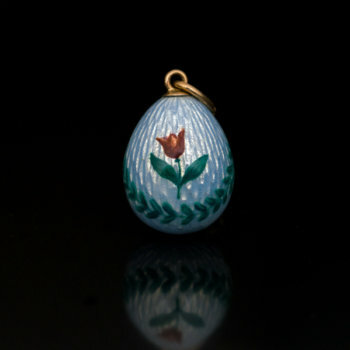 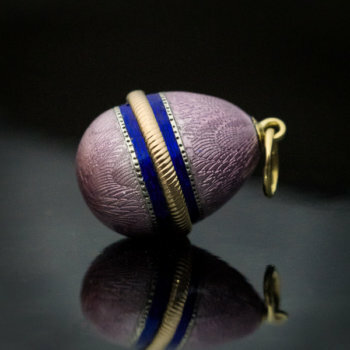 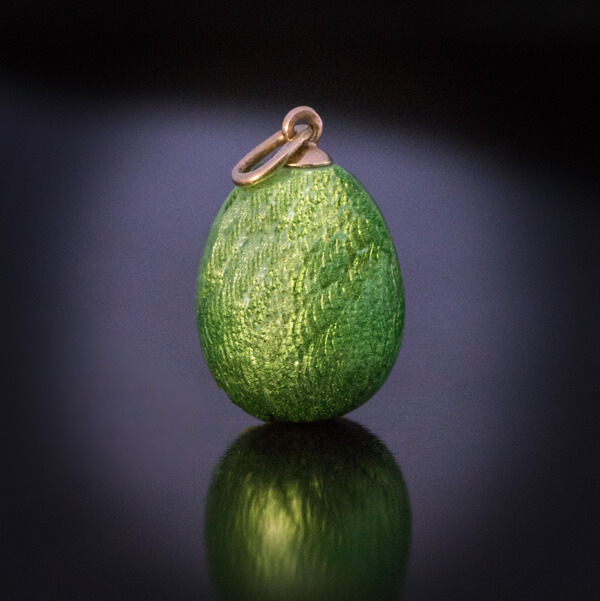 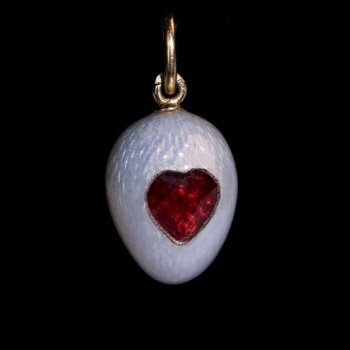 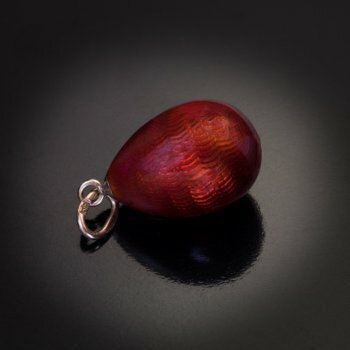 This rare original Faberge miniature egg pendant was made in St. Petersburg between 1908 and 1917. 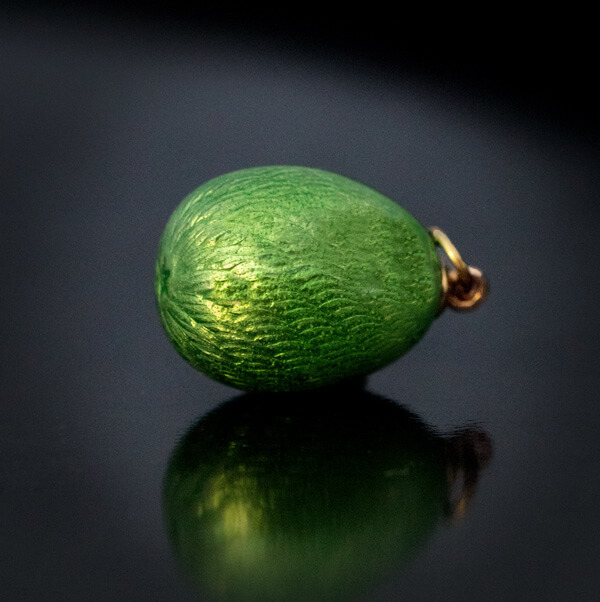 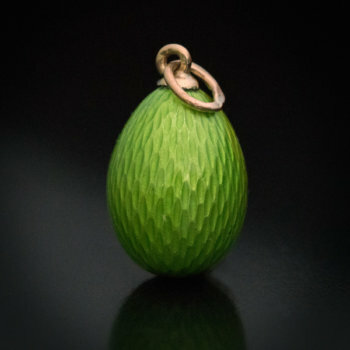 The gold mounted egg is covered with apple green guilloche enamel. 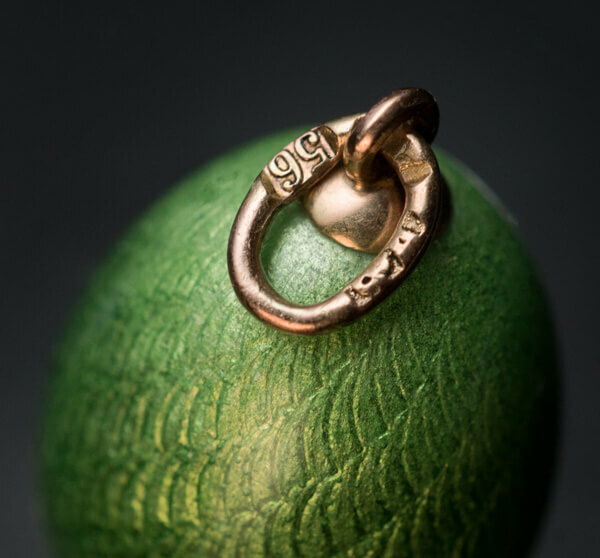 The egg is marked with 56 zolotnik old Russian gold standard and initials ‘ФА’ for Faberge’s workmaster Feodor Afanasiev.